Two days ago the Chinese culture celebrated the advent of the year of the black water snake. For the Chinese it represents a year commanded or influenced by the personality of the snake.The snake being a popular figure in mythology world wide, is the creator of the universe in ancient cultures from China, Africa, India and Greece. In ancient Sumeria it represented healing, and this survives today as the Caduceus symbol used in the modern U.S medical profession (the snake being recorded in this capacity in Hannurabi’s law code from 1700 B.C). The world-binding snake, Jormungandr, the Midgard serpent and key player in the Norse end of days, represents European mythology at its most grandiose regarding water snakes. 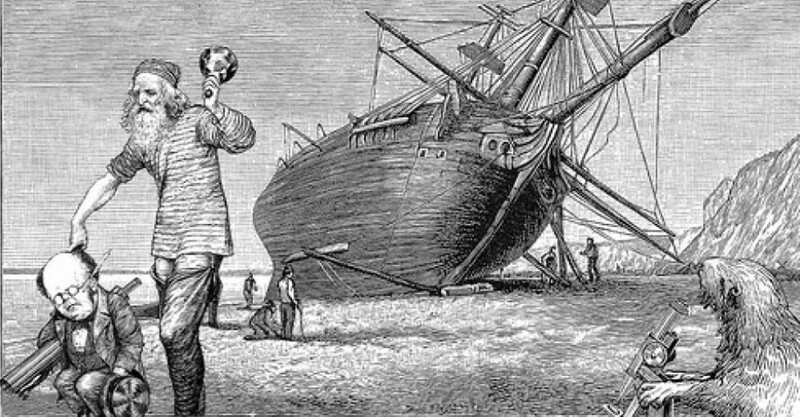 The myth pertains to a serpent born from Loki’s relationship with the giantess Angrbooa, that grows so large that it encompasses the globe via the ocean. According to the myth, when his nemesis Thor will eventually kill Jormungandr the world will end. 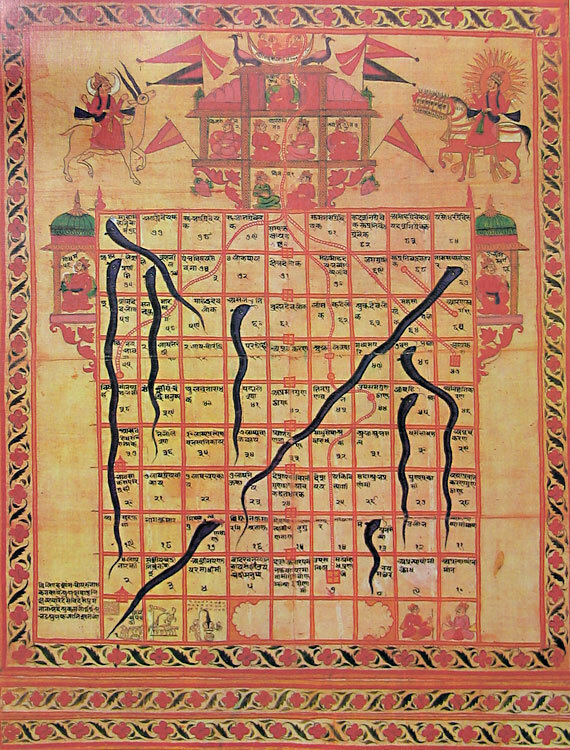 The game of snakes and ladders has it’s beginnings in ancient India and Tibet, where the ladders lead to various states of heavenly realms and higher states of consciousness ending it Nirvana, should you be so lucky as to get to the winning square. The snakes however lead you to more ghastly places in the realms of the Hindi/ Buddhist religion. Whilst a comprehensive study into snakes in all mythology would be a monumental task, the role of the ‘water snake’ can be attempted more readily; in particular a lesser known story of Saint Columba admonishing a serpent, in the form of the Loch Ness monster. The snake for the Chinese represents a seductive, philosophical and deeply private individual perhaps in this way the elusive ‘Nessy’ that garners so much popular interest and thought is an apt place to begin. Saint Columba, or Colum Cille, was one of the 12 apostles of Ireland and propagated the Christian faith amongst the Picts in the 6th century A.D. Originating from the County Donegal. Colum Cille means ‘Dove of the Church’ in Gaelic and his story is one of many wilderness-taming heroes in lore. Whilst snakes have represented sacred vestiges and virtues it seemed that the Loch Ness monster was counted as one of the more maligned serpents in history and had been eating people around the banks of the river Nesa in Scotland when Colum Cille arrived there in 6th century. When Colum Cille heard the tales of the man eating serpent he asked a companion to swim in the water as an attempt to lure the Loch Ness monster. When the serpent seemed about to devour the man, Colum Cille made the sign of the cross, and commanded the creature to desist in the name of the Lord. It seems that from this point, the Loch Ness monster became a shy and retiring creature whose legacy is to move unseen throughout the Loch. 2) Acceptable as the Loch Ness Monster to the curators of the Natural History Museum, London. The great water snake of the Loch Ness still remains elusive but offers an insight into the myth making capacity of water serpents that exist to this day. The myth making also pertains to that of the vanquisher, the social, communal action of clearing the land of monsters that is so often a part of popular lore and necessary for civilization, whether it’s St George and the dragon, St. Sennis (banishing a gruesome sea and land monster called Cathach to Dubhloch, or black/dark lake at mount Callan), or St. Patrick clearing the land of snakes. However, for more animist religions, snakes aren’t always seen as so malign. In Sri Lanka the seven-headed cobras depicted on the sides of irrigation sluices protect the water, and ensure its flow. The great Untehki, the water snake Goddess of the Missouri in Nebraska, is seen in a similar vein: her heart was apparently made of a rock crystal that had the powers of prophecy. When hunters dispatched her, the waters ran dry. The Cryptozoology School of thought can offer some insight into the progress of the role of snakes in mythology, and in this way the snake is seen a protector of the wilderness and elements (in this case water) but also an obstacle in ancient times to the process of civilization. Therefore the duality of its nature is exposed, it depends which way you look at it but either way the snake still commands respect.